Οδηγός χιονοδρομικού για Porté Puymorens, χάρτης περιοχής και διαμονή για Porté Puymorens. Χιονίζει σε Porté Puymorens ;Ευχαριστούμε! 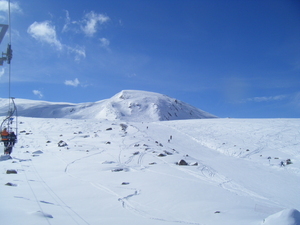 Porte Puymorens (or Porté Puymorens) is a medium size ski station and part of the Neiges Catalans group of ski stations with 12 lifts that offers skiers an impressive 871 metres (2857 feet) of vertical descent in beautiful sceenery. 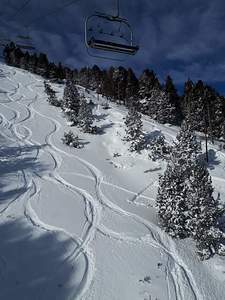 It is not modern and the uplift is in need of rejuvination, but it is a lovely ski area with plenty to offer skiers of all levels especially when grouped with the rest of the Neiges Catalans stations. Porte (Porté Puymorens) is a great little station if you don't like crowds. There is plenty of off-piste action and an excellent snowpark. It gets really cold (n/nw facing) so wrap up warm! One of my favourite places to go boarding 'though don't expect high class food! The cafeteria is adequate at best.